The AMG GLA45 has a 2.0L 4-Cylinder Turbo Engine that produces 280kW of power and 475Nm of torque, coupled with the AMG SPEEDSHIFT DCT 7-speed sports transmission and its 4MATIC all-wheel drive system, it will acceleration from 0 to 100km/h in 4.4 seconds. 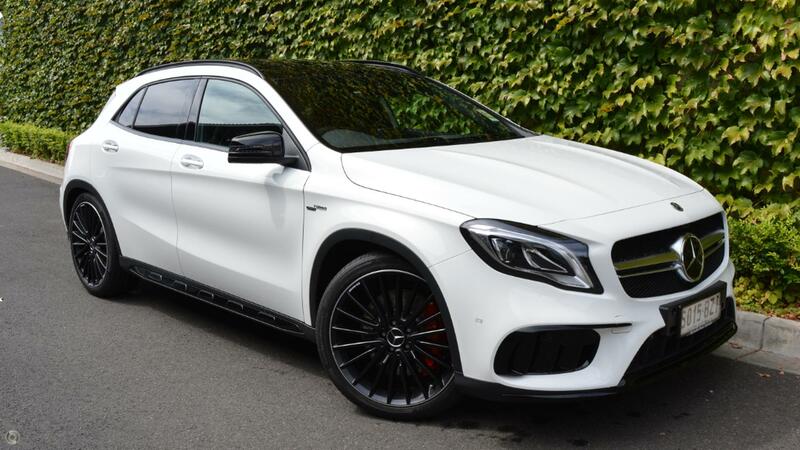 The GLA45 comes standard with 20inch AMG Multi-spoke alloy wheels, AMG Performance Seats in RED CUT leather, LED fixed headlights, Panoramic Roof and Ambient lighting. It has been optioned with the AMG Carbon-Fibre Trim on the dash board.